Any diabetic will tell you: following a healthy diet is vital to maintaining a healthy lifestyle when you have diabetes. While it is contrary to what we traditionally believe to be “healthy”, the ketogenic diet has become increasingly popular among diabetics. Type 2 diabetes and obesity are closely linked: 90% of people with type 2 diabetes are also overweight or obese. The CDC recommends weight loss as a means to maintaining a healthier body for those struggling with diabetes because it can positively affect blood sugar levels and reduce risks of other related health conditions3. Because weight loss can have such a dramatic positive impact for those struggling with type 2 diabetes, most of the diets prescribed to diabetics focus on weight loss. The ketogenic diet is no exception, and often leads to substantial weight loss and improved body composition. It’s also interesting to note that the ketogenic diet may contribute to a greater preservation of muscle mass during weight loss than other diets. Most doctors will recommend limiting sugars to diabetic and pre-diabetic patients. The ketogenic diet involves the strict limitation of sugar and other carbohydrates, which can reduce blood sugar spikes immediately after eating. Over time, replacing dietary carbohydrates with fats can reduce blood sugar levels. Another potential benefit of the ketogenic diet is that it is thought to improve insulin sensitivity5,6. Prediabetics and diabetics are often referred to as “insulin resistant” because their muscle, fat, and liver tissues do not respond properly to insulin. When the pancreas can’t meet the body’s need for insulin, excess glucose builds up in the bloodstream, contributing to diabetes and other medical conditions7. Diabetics may also be interested in other health benefits that are commonly associated with the ketogenic diet8. Those on the keto diet may see an improvement in cholesterol levels, mental performance, satiety and food cravings, blood pressure, and yeast infections9. Many doctors recommend or prescribe the ketogenic diet to diabetic patients, and with good reason! Research shows its benefits in weight loss, blood sugar, and insulin sensitivity, all which are closely related to diabetes. 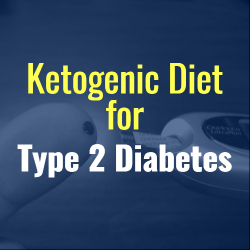 However because of the complexity and gravity of type 2 diabetes, diabetics must approach the ketogenic diet with extreme caution. It is important to consult your doctor prior to making dietary changes so that they can advise you and closely monitor your health. For the 26 million people in the U.S. with diabetes and the estimated 79 million American adults with pre-diabetes, there has never been a better time to start managing and improving your diabetes. Researchers know more today than they did just five years ago about diet, insulin, medications and complications. Each person with type 2 diabetes needs to work out his/her particular eating, exercise or medical plan so it translates into normal blood sugars in his/her particular body. In general food and meal choices that work best for these people are lower sugar, lower sodium, higher fiber, lean meats and plant protein, fruits and vegetables and sources of monounsaturated and omega-3 fatty acids. 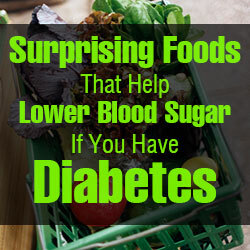 Beyond that there are some specific and even surprising foods that may help lower blood sugars in people with diabetes. Information and recipes for the following can be found in the new edition of my best-selling book, Tell Me What to Eat If I Have Diabetes. Some Nuts (a 2-ounce serving of these nuts contain 5 grams or less net carbs: almonds, brazil nuts, hazelnuts, macadamia nuts, peanuts, pecans, walnuts). I’m a big green/white tea advocate because of all the antioxidant plant compounds (polyphenols) it provides, but there are possibly bigger benefits for people with pre-diabetes or type 2 diabetes. More investigation needs to be done, but a review of 17 randomized clinical trials suggests green tea consumption was associated with lower fasting blood sugar levels and lower fasting insulin levels. There’s a lot more to beans than helping fill burritos! It’s the whole nutritional package (both types of fiber, carbs, protein, vitamins, minerals and assorted plant compounds) that may help improve blood sugars in people with type 2 diabetes. The plant protein and fiber in beans slow digestion (releasing carbs into the bloodstream slowly), which can help lessen the rise in blood sugar. The protein may help stimulate the release of insulin after the meal, while the protein and fiber also enhance the feeling of fullness. Buckwheat does appear to be a potentially “magical” intact whole grain for people with diabetes; new research suggests buckwheat extract lowered meal-related blood sugar levels by 12-19 percent when given to rats. Look for buckwheat soba noodles and start experimenting with buckwheat groats. Whey protein hydrolysates may prove to be helpful anti-diabetic agents, according to new research with obese diabetic mice. The whey protein improved blood glucose clearance, reduced elevated insulin levels, and remarkably restored the ability of pancreas cells to release insulin in response to glucose. These amazing potential benefits aren’t totally out of the blue, past research has linked lowfat dairy with a reduction in risk of type 2 diabetes and specific amino acids in milk have been reported to stimulate insulin secretion. Several studies suggest cinnamon has a possible blood sugar lowering effect. For example, one study suggested less than a half-teaspoon of cinnamon a day might reduce blood sugar in people with type 2 diabetes. Another study found 2 teaspoons helped lower blood sugar levels after meals. More research needs to be done but in the meantime, sprinkle some cinnamon in your morning cereal, yogurt, smoothies, or coffee/lattes. Stay tuned as more research trial results become available, but put mushrooms on our list of potential foods with anti-diabetic properties. So far, preliminary data from human trials appear to mirror the encouraging results in diabetic animal research, which includes potential in helping to lower plasma glucose, blood pressure, total cholesterol, and serum triglycerides. 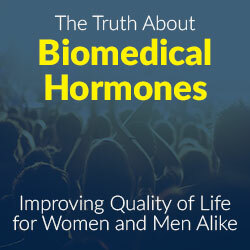 Polysaccharides (possibly both alpha- and beta- glucans) are the plant compounds in mushrooms that are thought to be responsible for these desirable effects. The mechanism needs to be confirmed, but some researchers suspect they work directly with insulin receptors on target tissues. Diet soda can be a great alternative for soda lovers because they don’t contribute carbohydrates or calories. Recent intervention studies point toward a beneficial effect of low or no calorie sweeteners on fasting and postprandial blood glucose levels as well as insulin levels, energy or calorie intake and body weight—all things that people with diabetes care about. Certainly it is important to drink water most of the time, but there is definitely room within a healthy diabetic lifestyle to enjoy a diet soda when a flavored beverage is preferred. Most people have heard of Diabetes. Most people are aware of type 1 and type 2 diabetes, but do we as a nation know enough facts and information on type 1?? The World Health Organization has estimated a staggering 220 million people worldwide including 2.9 million people in the UK have diabetes, a disease which affects your blood sugar levels. Type 1 diabetes develops when the cells inside your body which produce insulin are destroyed, therefore the body is unable to produce insulin, which is fundamental in unlocking the door to the body’s cells. Once this has been unlocked, the glucose can enter the cells where it is then used as fuel for the body. With type 1 diabetes the destruction of insulin therefore means the door stays locked thus a build up of glucose in the blood. When your own body destroys parts of your body it is classed as an autoimmune disease, which is what type 1 diabetes is. The only cause doctors have been able to suggest is a virus or an other infection triggering type 1 diabetes. 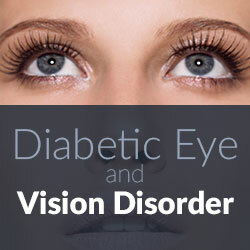 Unfortunately, a person can develop type 1 diabetes any age, but usually before they are 40. Unfortunately Diabetes type 1 is unavoidable. Unlike type 2 diabetes there is no correlation between one’s lifestyle and contracting diabetes. 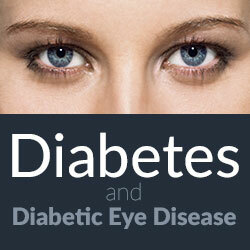 With Type 2 diabetes, much of the onset is the consequence of the persons body weight, health and way of life. A myth that many people have always believed is that regular exercise or watching what you eat can prevent type 1 diabetes. Unfortunately this is not the case. 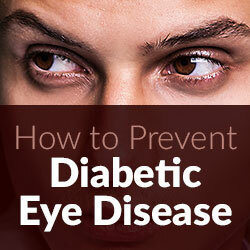 You cannot reverse or prevent type 1 diabetes. Diabetes is a very serious illness and should be treated with the appropriate care and the condition should be taken very seriously. 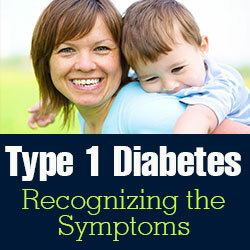 Although, as of yet there is no cure, type 1 diabetes can still be managed. Often, many victims have a specific type of medication, which they will have to take for the rest of their lives. On top of this, the medication is not an alternative to having a healthy lifestyle and physical activity. The aforementioned factor that the body destroys insulin therefore means that for the rest of the patient’s life they will regularly have to inject themselves with artificial insulin, which will then be absorbed into the small blood vessels. Unless the issue is addressed, you run the risk of suffering irreparable damage as a result of type 1 diabetes. Helping raise awareness of type 1 diabetes and the symptom associated with it .